Last month, Apple confirmed it was rebuilding Apple Maps from the ground up. Now, Apple has now expanded its data collection to 45 states, according to MacRumors, with its fleet of cars now roaming the streets of two new states, Montana and North Carolina. Apple has been using its fleet of cars since 2015, but that was mostly to update some information of its mapping data in conjunction with third-party data. But with its revamped Apple Maps plans, this data collection turned into collecting detailed first-party information in an effort to gain much more detailed data, including ground cover, pools, foliage and pedestrian pathways in an effort to stay competitive with services like Google Maps. Apple is not only dispatching its fleet of cars stateside, it's also doing it overseas. The sensor-laden cars have taken to the streets of Croatia, France, Ireland, Italy, Japan, Portugal, Slovenia, Spain, Sweden, and the United Kingdom. Stateside, the only states Apple has yet to survey are Arkansas, Alaska, Oklahoma, South Carolina and Tennessee. 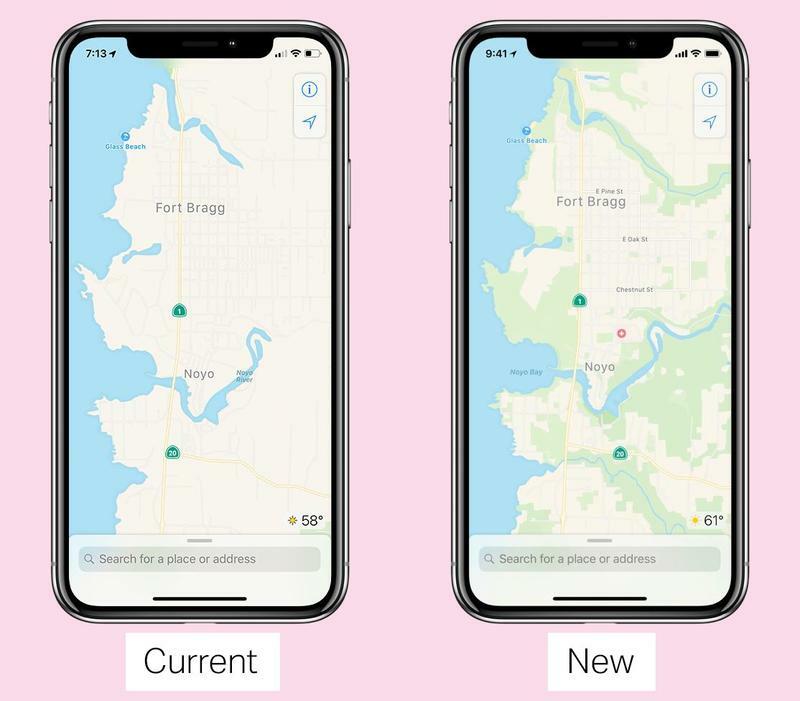 The rollout of the revamped Apple Maps is happening with iOS 12, with Northern California users being the first to see the new mapping data. Apple will continue the gradual rollout to the rest of the country over the coming months.